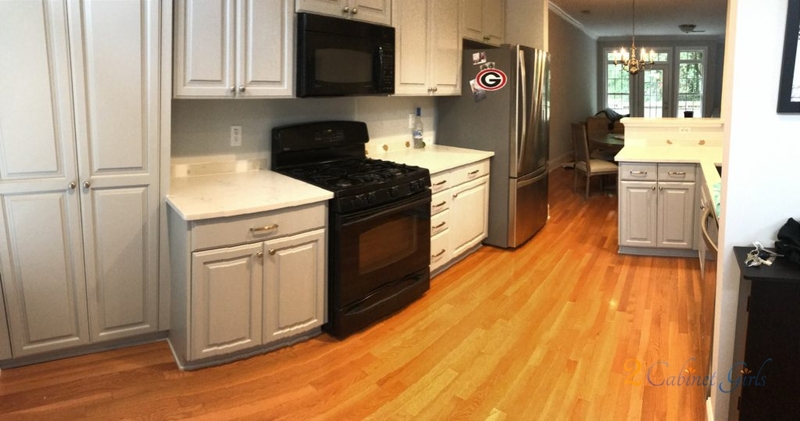 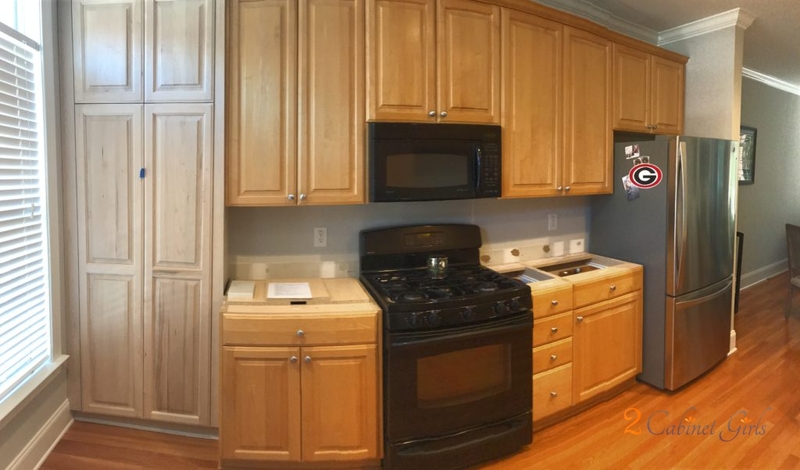 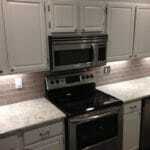 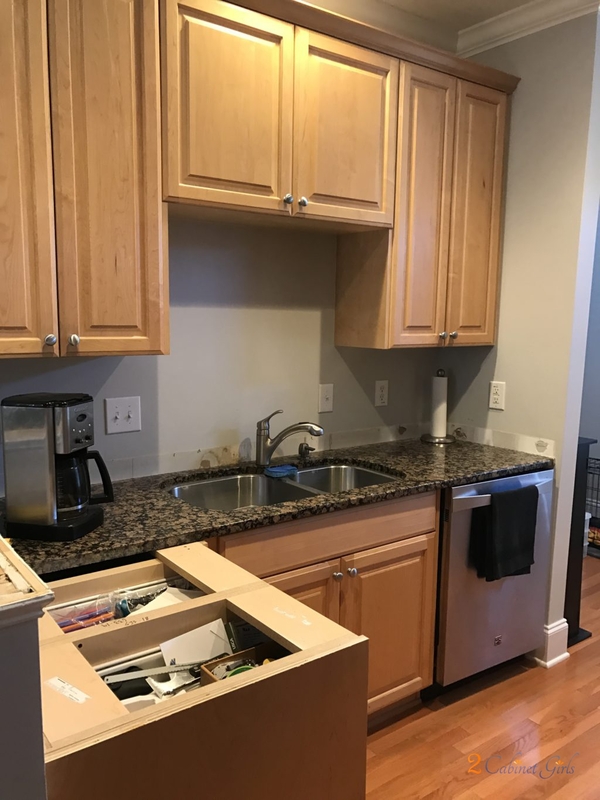 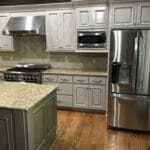 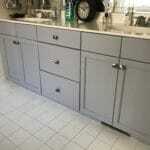 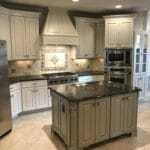 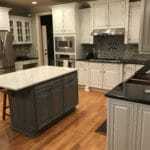 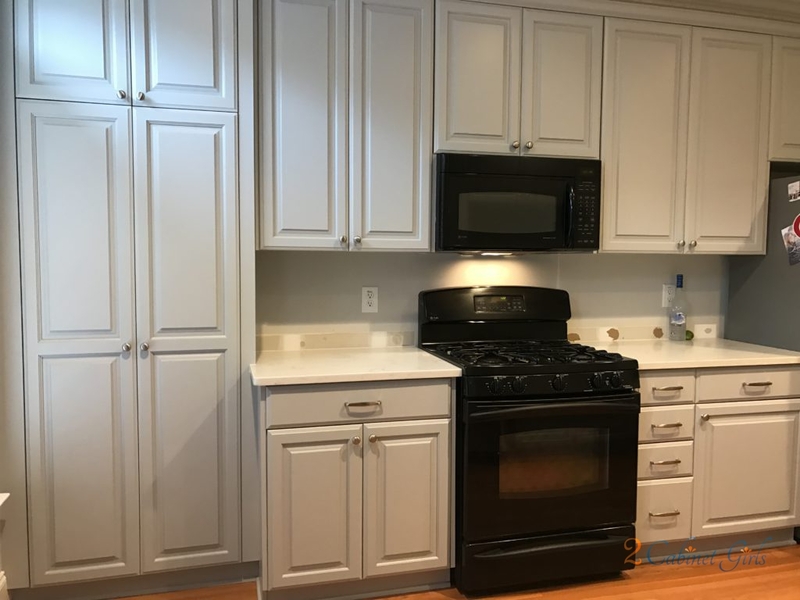 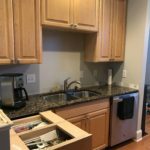 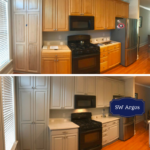 Our homeowner’s kitchen was undergoing a major renovation. 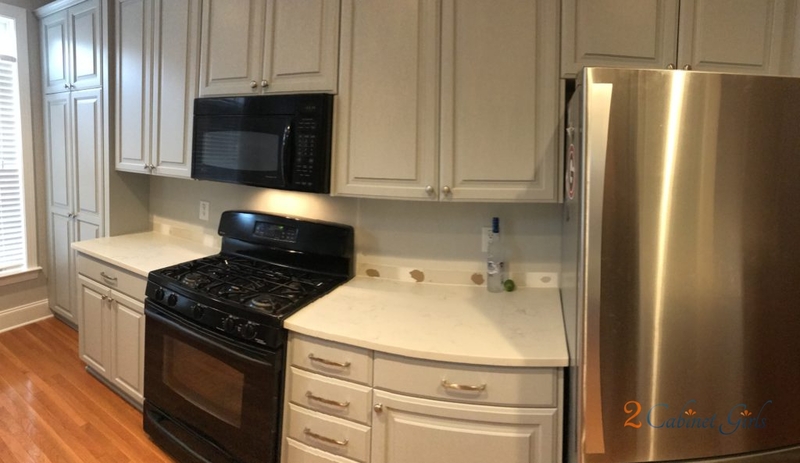 New quartz counters and a new tile backsplash. 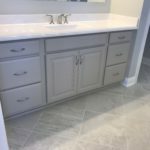 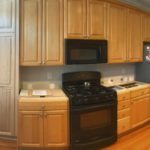 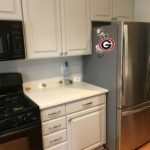 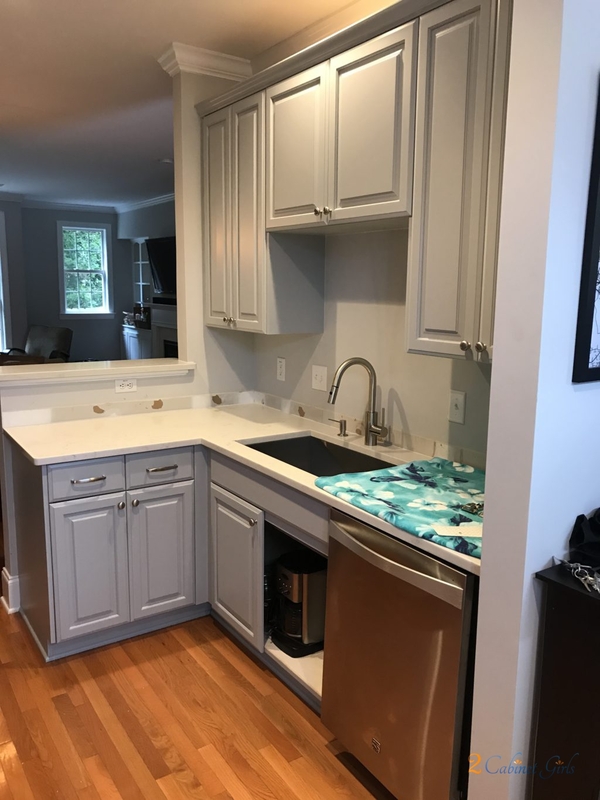 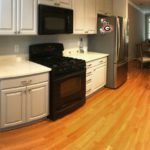 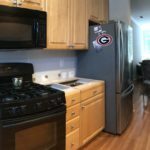 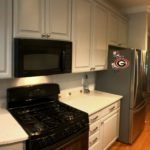 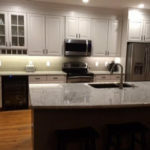 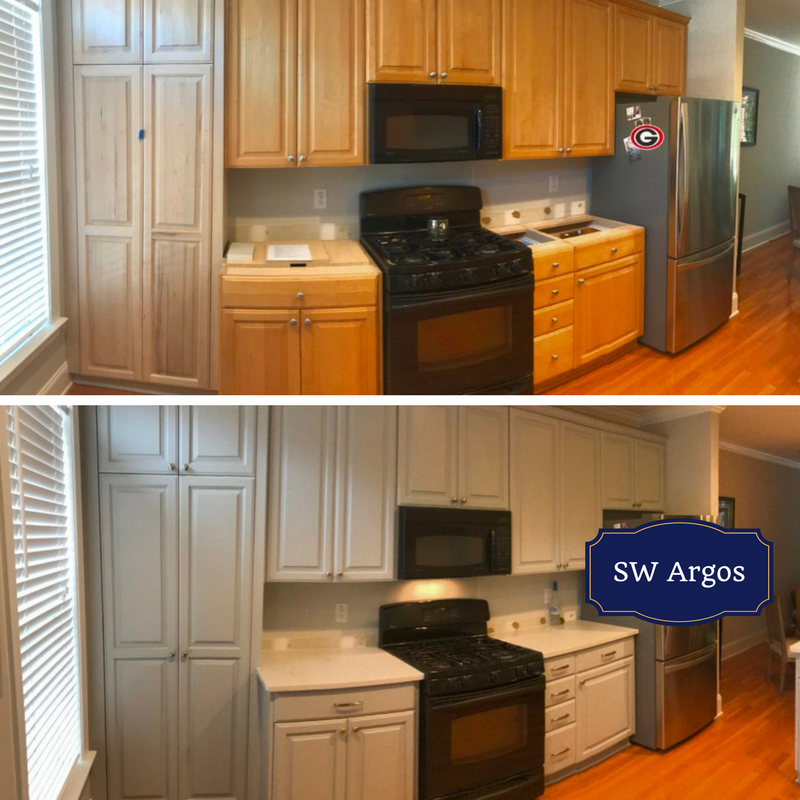 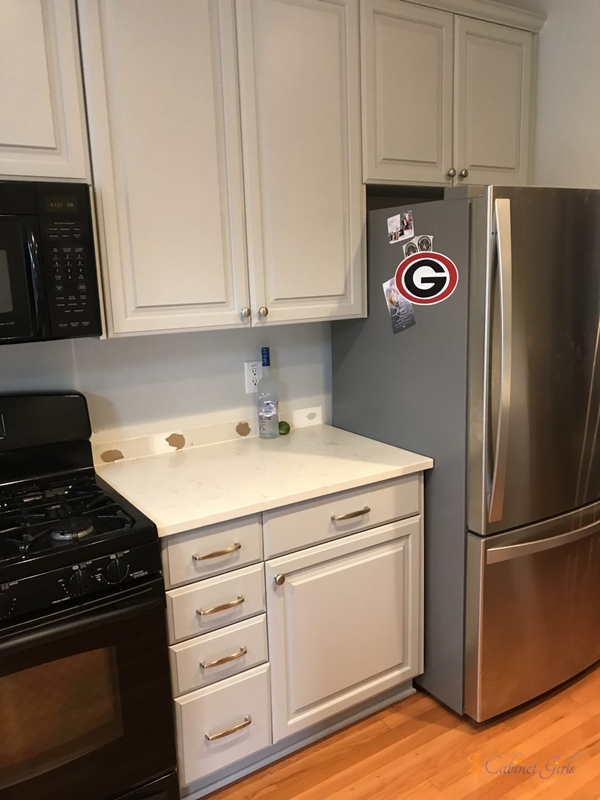 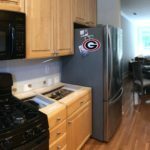 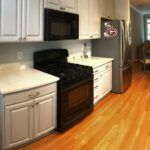 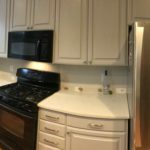 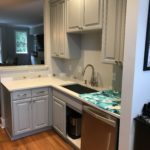 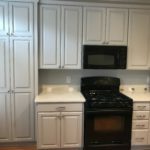 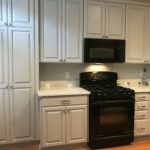 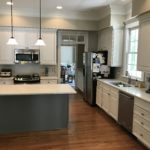 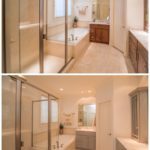 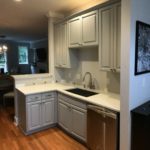 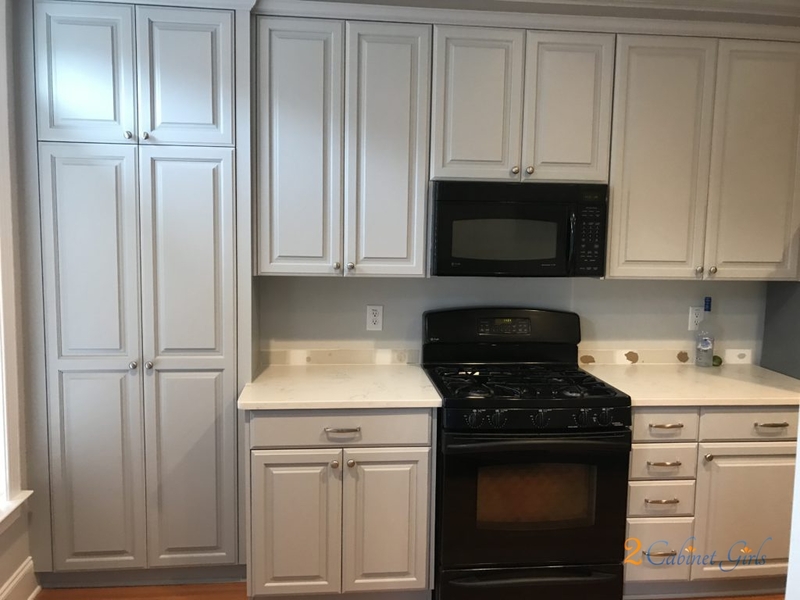 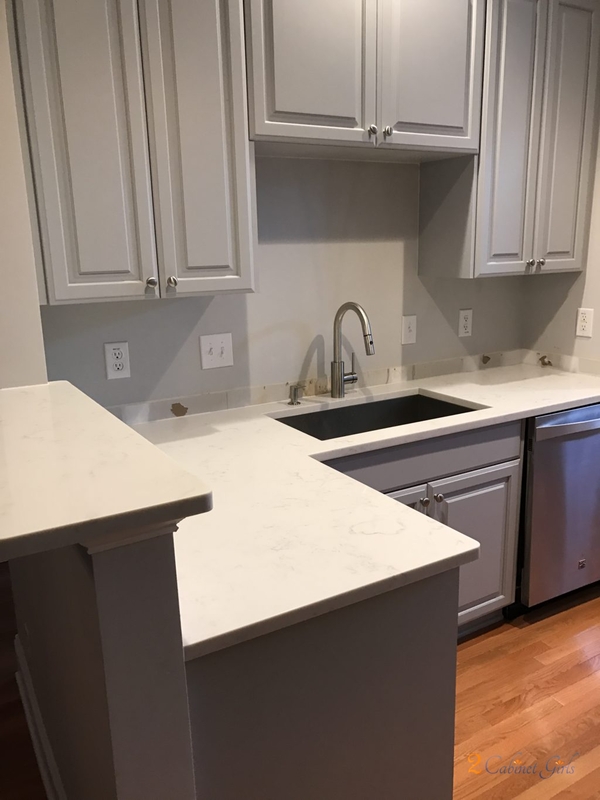 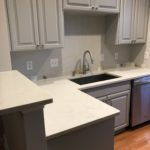 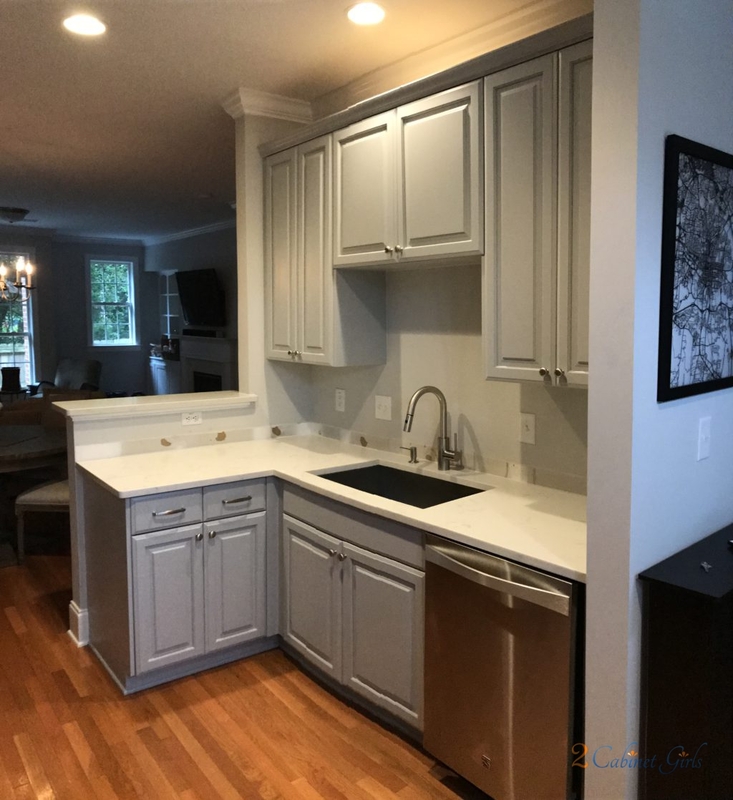 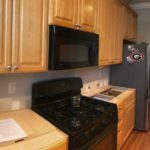 Our contribution was painting the kitchen cabinets for a custom look and feel and adding sleek brushed nickel pulls to the drawers.